Several weeks ago my dear wife Lynne asked what I would like to do for my milestone 60th birthday on July 7th. My thoughts were maybe we could go out to a nice restaurant and then top it off with a live concert with a legendary band. Or maybe go on a little getaway to a place like Niagara Falls, a place I last visited 48 years ago when I was 12. At Niagara, my wife and I could go on that cruise that takes you to the base of the falls, and then maybe take in a museum or two. Or perhaps have a 60th birthday party where people from the community and co-workers and relatives could come and wish me a Happy Birthday. These were all great thoughts, but the one thought to celebrate my 60th I kept returning to was….I could go out for a run. But not just any run. There are three distance options to choose from, 14k for one loop, the 28k for two loops, or 56k for 4 loops. The 56k was the distance I was drawn to. But could I even complete this? It certainly wouldn’t be quite as an exciting celebration if I DNF’d (did not finish). Reading precious blog posts on the event, race results from previous years and talking to runners who have run this course I learned that this is a extremely tough course. In 2017 there were 81 starters in 56k and 67 finished. In 2016 there were 77 starters, and only 54 finished. A DNF can happen to anyone. Even though a runner can be extremely trained and prepared, a lot of unexpectant events can take place on the course and things can go terribly wrong out there. I have so much respect for each and every runner who stands on that start line. Fast sections can quickly change into technical sections where runners really need to watch their footwork to avoid injury. For my 60th birthday my wife booked time off work to help me celebrate my 60th by being there on race day. The thought of sitting on a chair for up to 10 hours waiting for me as I came in on each of the 4 loops does not sound that appealing. I think taking a boat cruise to the base of Niagara Falls sounds far more exciting for her. But she chose to support me on my 60th birthday while I ran The Limberlost Challenge. This was huge. Lynne has been to one of my finishes, but this is the first time she has been to an entire event from start to finish. I asked her if she realized how much this means to me. She replied, “I think I know”. I loved this course. 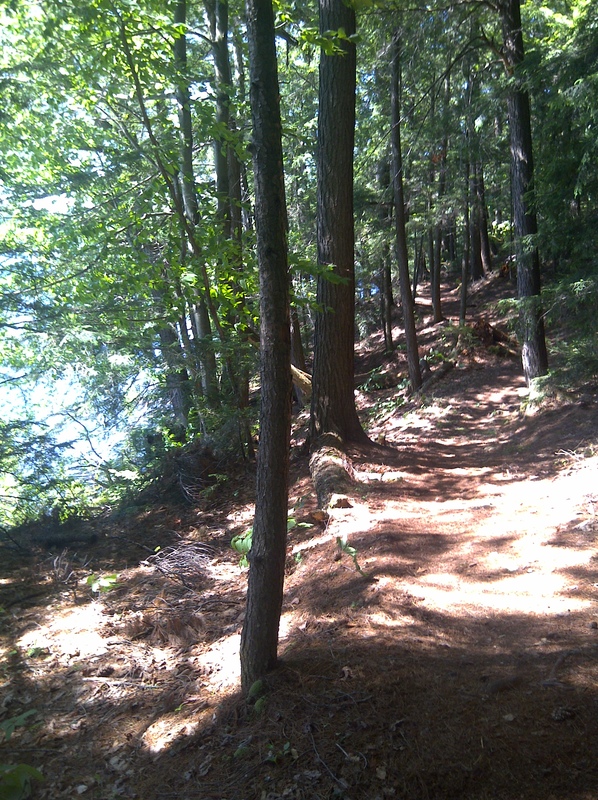 The owners of the Limberlost Forest and Wildlife Preserve did such an amazing job with their trail system. We arrived early, and I was greeted by a local elite ultrarunner by the name of Chad Dickinson. Five years ago, when I started running I could not even run 1 kilometer. And I hated running. Chad believed in me, and told me to not give up. When he saw me arrive, he gave me the biggest bear hug…..and when I told him it was my 60th, he gave me another. Others arrived. I met my dear niece Caron (who I ran my 1st ever ultra with), and her dear friend Beth, who was aiming for her 1st ultra that day. More hugs and handshakes came from Kristi Raz and her family who made the 4-5 hour drive from Ottawa. There was a large group from Ottawa connected with Kristi who were running races of varying distances. Kristi Raz after finishing her 56k, she is a wonderful ultrarunner friend from Ottawa. This photo taken by Kristi and posted on Twitter with this tweet..”Gotta be honest, today was one of the toughest ultras I’ve done. Gorgeous trails but they were relentless and somehow sucked the life out of you. And while I survived, my toenails did not”. At 7:35 there was mandatory prerace instructions for all runners from the race director, medical director and a few others. In the 9 years this race has been run, conditions were said to be the best they have ever been. The trail was said to be very fast, and records were expected to be broken that day. The sun was shining. The humidity from the previous few days heat wave had broken. My dear wife was there cheering me on. There could not be a better way to celebrate 60 years of life on this magnificent planet than by running this breathtaking race course 4 times. And before I knew it, I had assembled with the other 56k runners in the corral at the start line, the countdown took place and the race was on. 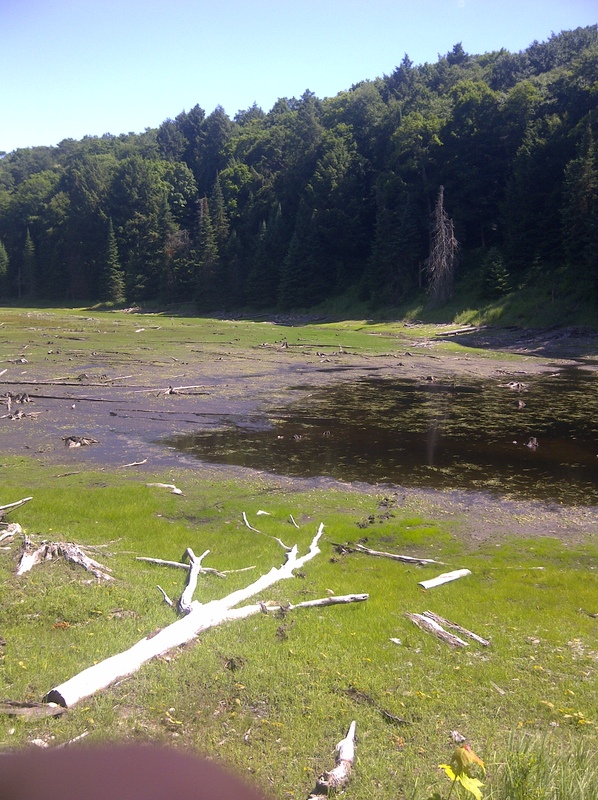 Google Earth picture taken off the Limberlost Challenge website. For the 56k, the course would be run 4 times. 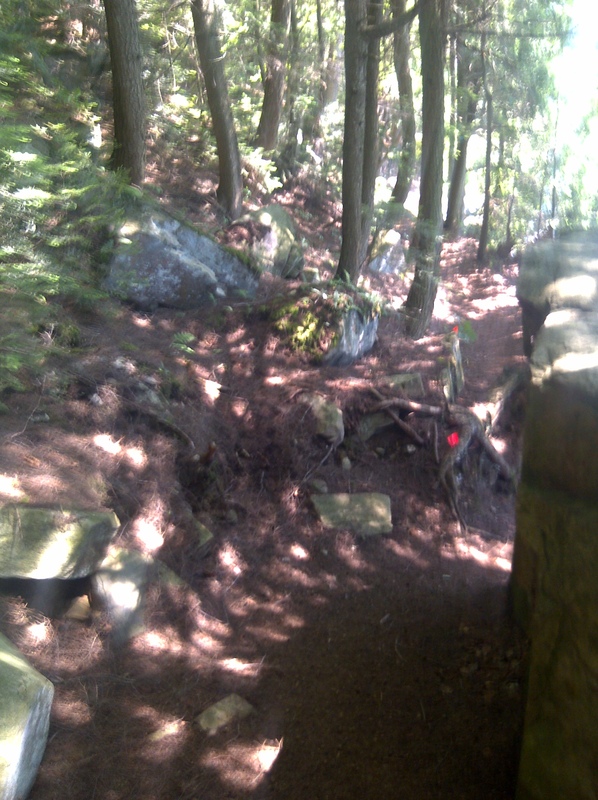 The course was extremely well marked out with red flags along the right side of the trails. 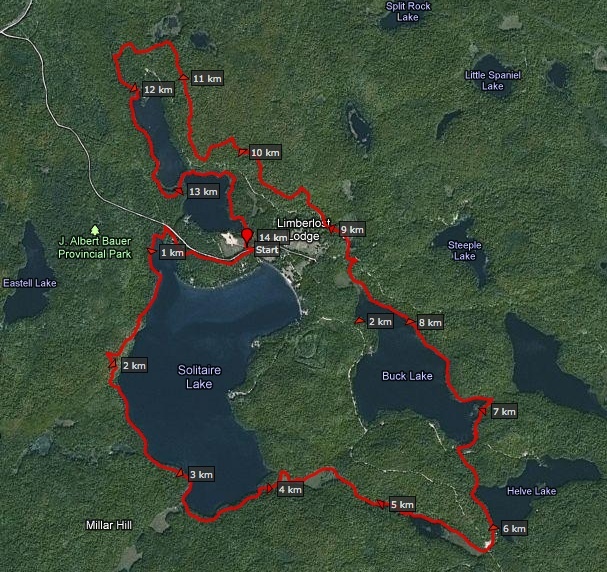 There were 3 aid stations, one at Langmead at 3.9k’s and the 2nd one was at Buck Lake at 8.6k’s. The 3rd was at the start finish line. There is a hard cut-off time of 3 loops (or 42 kilometers) to be completed within 7 hours and 30 minutes. The entire 56 kilometers was to be completed within 10 hours. As announced in the race briefing, even if you are a mere one second over the time limit after 42 kilometers, you will not be allowed to continue. My strategy was to run a little harder on the first two loops before the heat of the day and build a cushion before that 42 kilometer cut off time. To me that time cushion is like an insurance policy if things go wrong. It also affords me the luxury to take time for some photos on this spectacular course while running. The course follows beautiful lakes. One of the things I have always struggled with on these long races is my hydration and nutrition. Real food always works best for me, and at the Limberlost Challenge start/finish aid station they offered boiled potatoes which you could dip in salt, which was wonderful. I brought 3 litres of ELoad Endurance Formula (an electrolyte that agrees with my stomach) with an added 1000mg Vitamin C in each litre from home. These I kept in my drop bag with Lynne at the start finish. 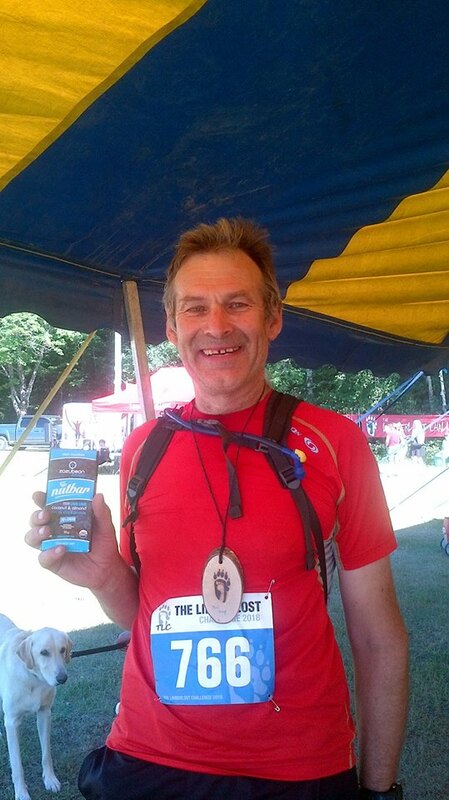 I had salt/electrolyte capsules with me, and was drinking roughly 2 litres of plain water on EACH of the 4 loops. The volunteers at the aid stations were awesome. They filled my hydration pack with lots of enthusiasm and cheers of encouragement to keep me going as I headed out on the trail again. It also skirts along some valuable, wondrous wetlands. Another thing that really keeps me going are the runners that I run with. Over the course of 56 kilometers I connect with a lot of runners. Sometimes it is a greeting and a “You are doing awesome”, but other times I ran significant distances. There were 4 different runners I ran with in varying distances from 2 to 8 kilometers. I ran with a different runner on each of my 4 loops. I love the fact that each runner is very unique in their running journey. I loved and cherished the time I spent with each one. They made my 60th birthday race day celebration so much richer. The vast majority of the course was in the forest. A welcome relief while running in 26C weather. On the 2nd loop I ran with another type of runner. This female runner I have called “the elite”. I’ll be honest, I can never ever keep up with the pace of an elite runner in a race. They are that fast. There were several elite runners that lapped me when I was running my 3rd loop. What this means is they were on their final loop while I was on my third loop, and were 14 kilometers ahead of me at the time they went by me. One of those runners was my friend Chad Dickinson. He finished 2 hours and 28 minutes ahead of me and finished 8th overall. This particular elite female runner I came across on my 2nd loop unfortunately rolled her ankle shortly into the race, and the technical areas were causing her lots of trouble. I came across her as she was painstakingly picking her way down the steep, treacherous backside of the monster switchback hill between the 1st and 2nd kilometers on that 2nd loop. The one thing I noticed was several Ironman tattoos on her arms and legs. When I asked if she has completed a lot of Ironman’s and she humbly said yes. She was more interested in me, celebrating my 60th birthday and my running journey. However she mentioned in passing when we were talking about ultras, that she earned the bronze division medal in the prestigious 89 kilometer Comrades Marathon in South Africa in 2010. In doing some research I discovered, there were 23,656 ultrarunners entering this race in 2010, and is often dubbed as the “Ultimate Human Race”. 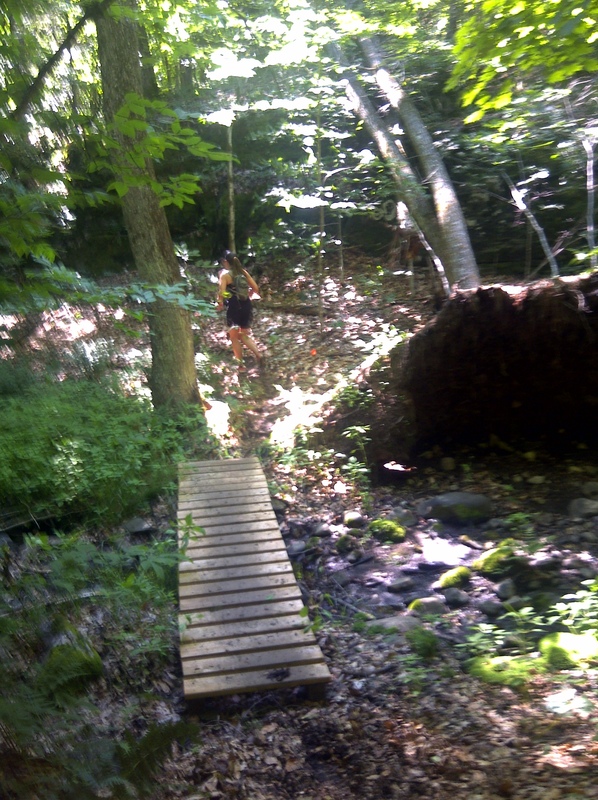 Back on the Limberlost Challenge course, once the trail flattened out this lady picked up the pace even with her injured ankle. I kept her pace. 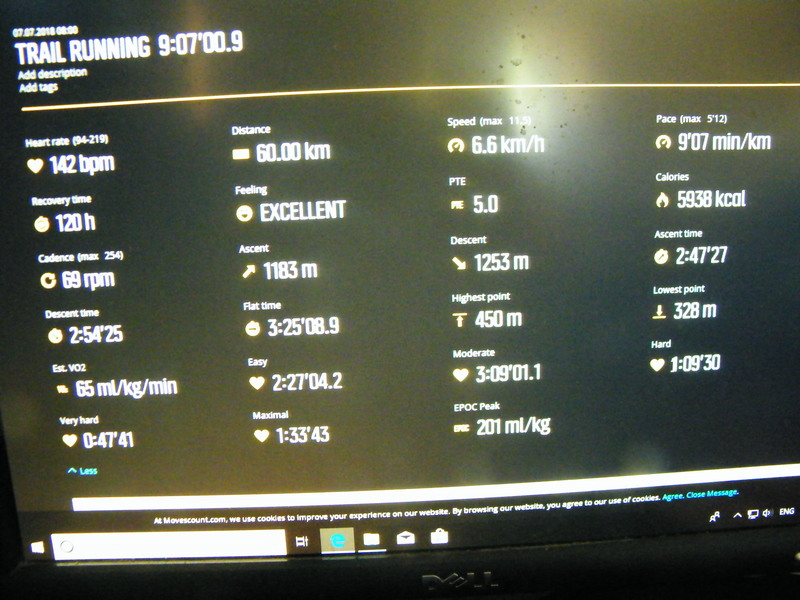 It felt wonderful to be running this fast with a Comrades finisher. She looked so effortless running. She asked me if I wanted to take the lead, but I didn’t want to hold her back. And deep down I knew I could not keep this pace up for the remaining 41 kilometers, and told her that I’m going to have to pull back my pace. For those four kilometers I had such a wonderful time running with this elite. What a tremendous way to celebrate my 60th birthday. 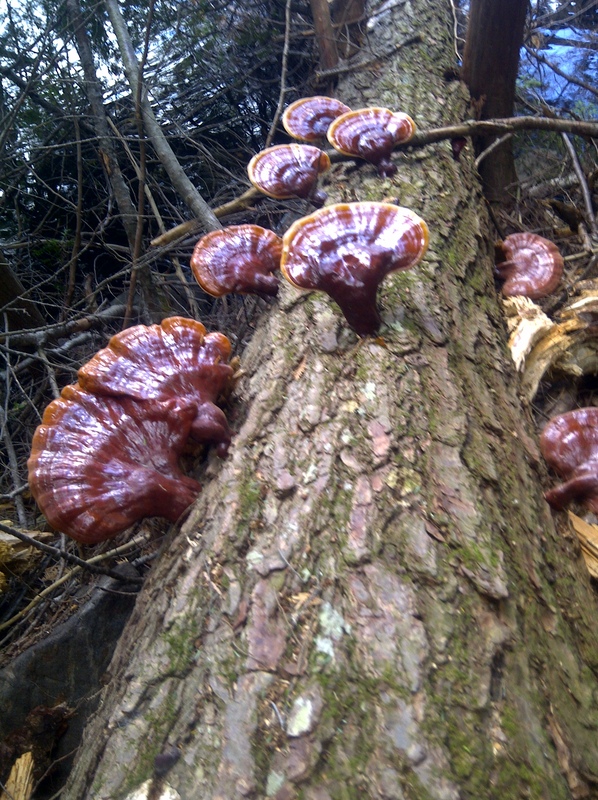 The beautiful Hemlock Varnish Fungi. Dead and dying hemlocks are the only tree this grows off of. On the 3rd loop I ran with another type of runner. This runner is very much like myself, and I would call him the “nature lover”. 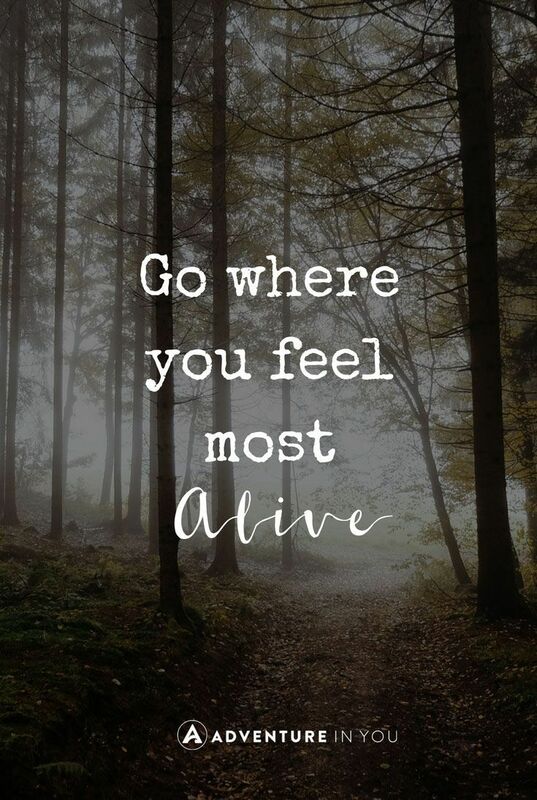 I love trail running so much, and the connection it brings to our earth. 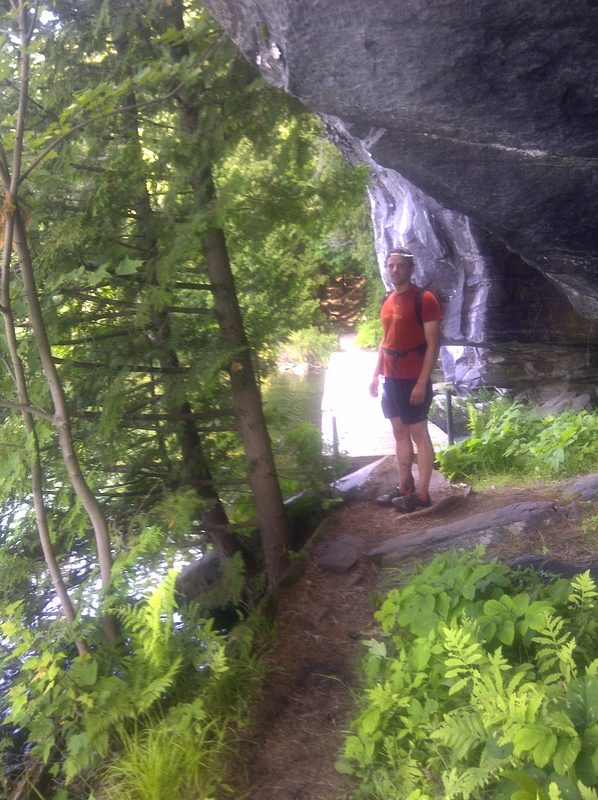 This ultrarunners name was Ryan and he is an environmental scientist. The amazing thing is about his work, is he knows the area where I live really well, having been conducting studies on the deer yards just outside Craighurst, and how this proposed development might affect the Copeland Forest (where I do some of my training) deer herds. Ryan tries to run one ultra a year and I was so enthralled by his deep knowledge of this old growth Limberlost Forest. By the size of some of the timbers, he estimated the last time much of the forest has been logged has been 140 to 200 years ago, which dates back to the early settlers. 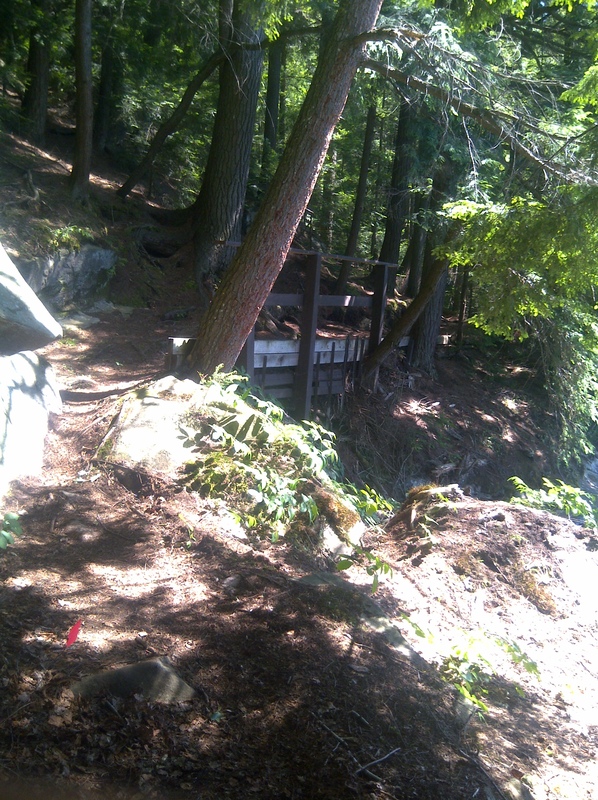 Ryan also pointed out the Eastern Hemlock, a tree that does not recover well after disturbance. If aggressive forestry takes place in an Eastern Hemlock forest, this tree requiring cool shaded protection to re-establish does not return. And in this Limberlost forest these beautiful hemlocks were thriving. The Eastern Hemlock is also the only host of the Hemlock Varnish Fungus, which grows prolifically on dead and dying hemlocks in this forest. I loved spending those six kilometers running with Ryan. The deep hemlock forest is actually fairly dark in places, and the few photos I took with my old school Blackberry did not turn out. Old growth forests are Ryans specialty, and I so appreciated his sharing his depth of knowledge with me. What an incredible way to celebrate my 60th birthday. A quick stop for a photo op. My new ultrarunning environmental scientist friend Ryan. On my 4th loop I ran with yet another type of runner. I had the honour and privilege of running my final eight kilometers to the finish with this person. Her name was Lindsay, and I would call her the “1st Time Ultrarunner”. Every ultrarunner has been there. She certainly picked a tough course for her debut into ultrarunning. When I came alongside her, she was really labouring her right hip. She mentioned she hurt herself around the halfway mark, and her pain seemed to be getting worse as the race progressed. Lindsay is much like myself, and is not one for taking painkillers. But she gratefully accepted some when I offered some ibuprofen I was carrying on me. I did not do much except keep her company and talk to her to help take her mind off her discomfort. Lindsay pushed hard right to the finish. It gave me much joy to see her smiles as she crossed that long sought after finish line. What an awesome way to celebrate my 60th birthday. 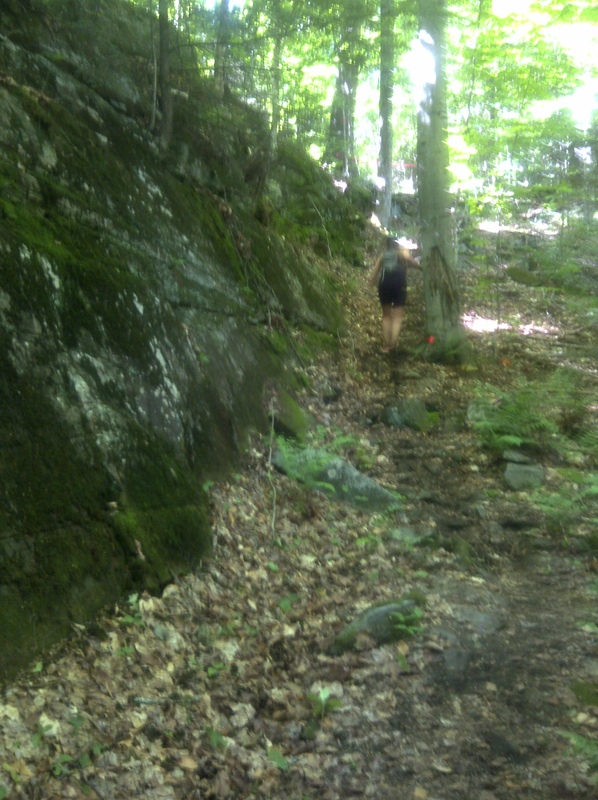 On her quest to complete her 1st ultramarathon, and with under 8 kilometers to go Lindsay is leading the way. But there was more to come in my 60th birthday celebrations. At the finish line I received my medal and I quickly introduced Lindsay to my wife, my niece Caron and her friend Beth. I also had the privilege of meeting Lindsay’s boyfriend Alex. Although my main objective was to just finish this race, deep in my heart I wanted to make it 60 kilometers for my 60th. So off I went for my remaining kilometers on the gravel road that comes in to where the race starts. I still had my race bib on, and the people who were driving on this road were looking at me rather oddly. Did I not know I could stop at the finish? When my watch hit 60 kilometers after my turnaround, I stopped it, saved my information and walked the rest of the way back to the start/finish line. Way back when I started running at 55, I couldn’t even run a kilometer. I would never ever dream I would run 60 kilometers on my 60th birthday. What a special way to celebrate my 60th birthday. But there was still more to come in my 60th birthday celebrations. I was enjoying a post race meal with my wife beside me and with my new ultrarunner friend Lindsay and her boyfriend Alex. I was chilling and relaxing while the award ceremony for the 56k runners was being held in the background. As winners for different age categories would get up on the podium I would cheer, and then return to our quiet dinner conversation. 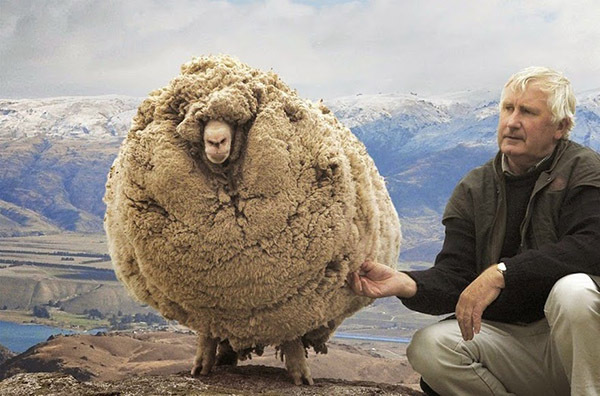 It was my wife who brought it to my attention, “Carl, they called your name”. I said, “For what?” “For coming in 2nd for 60 years and older”. I couldn’t believe this was happening. 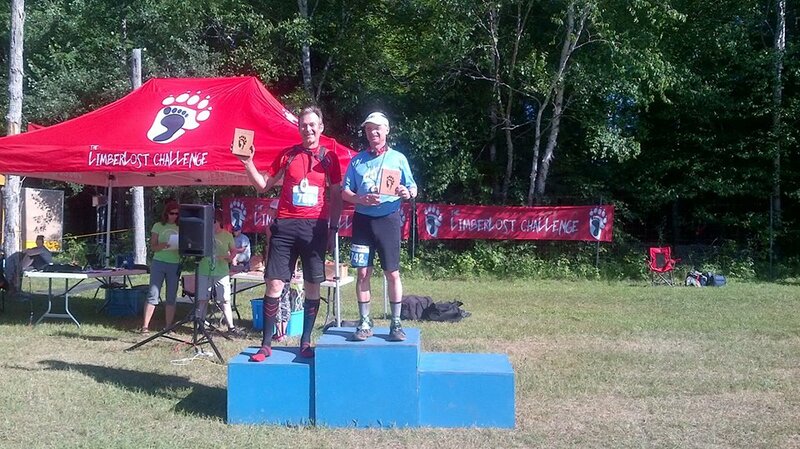 With no shoes on my feet I ran up and claimed my beautiful Cherrywood plaque, and stood on the podium while my wife took my picture. 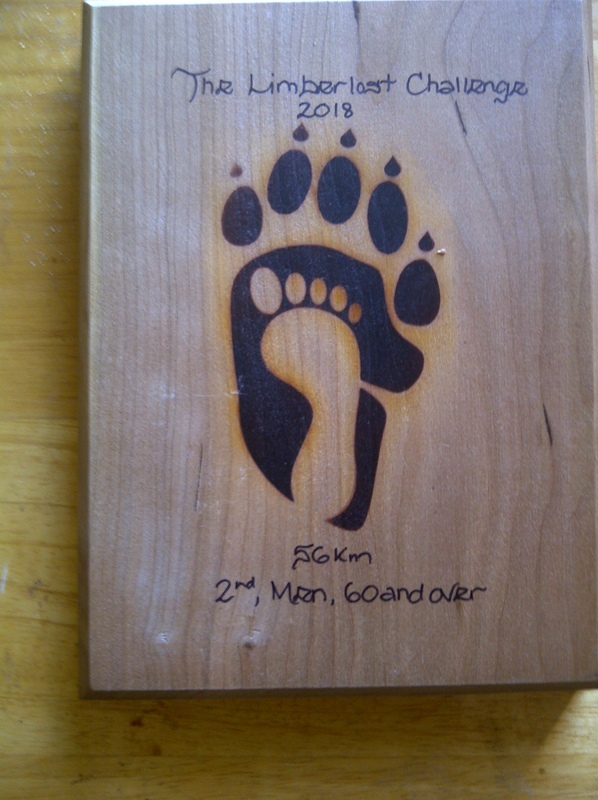 I know to come 2nd out of 4 runners 60 years and older who completed the 56k Limberlost Challenge shouldn’t be that big a deal. But to me it was HUGE. I have never come close to winning any award in my short running career. It felt like I came in second in Western States, the Boston Marathon or even the Comrades Marathon. My 60th birthday celebration couldn’t have been more perfect. What a way to celebrate my 60th. 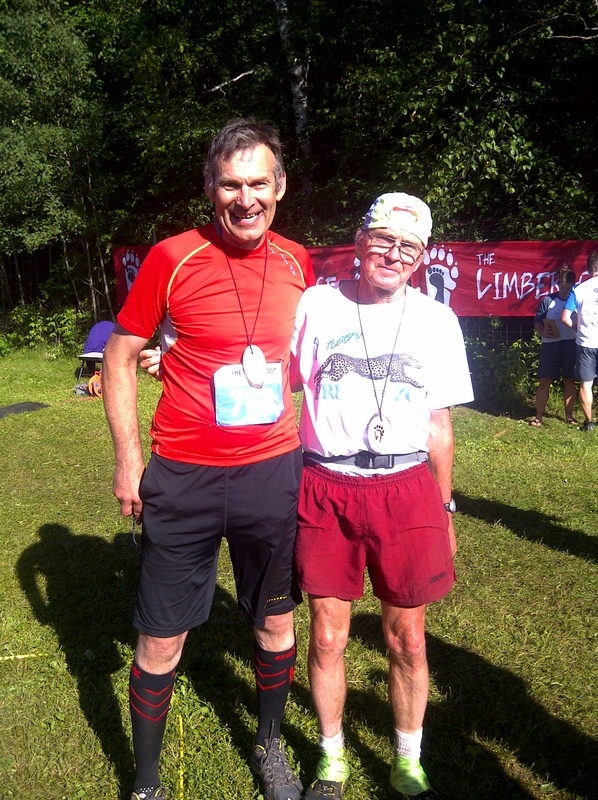 Two runners over 60 (including legend Ron Gehl) still on the course when photo was taken. 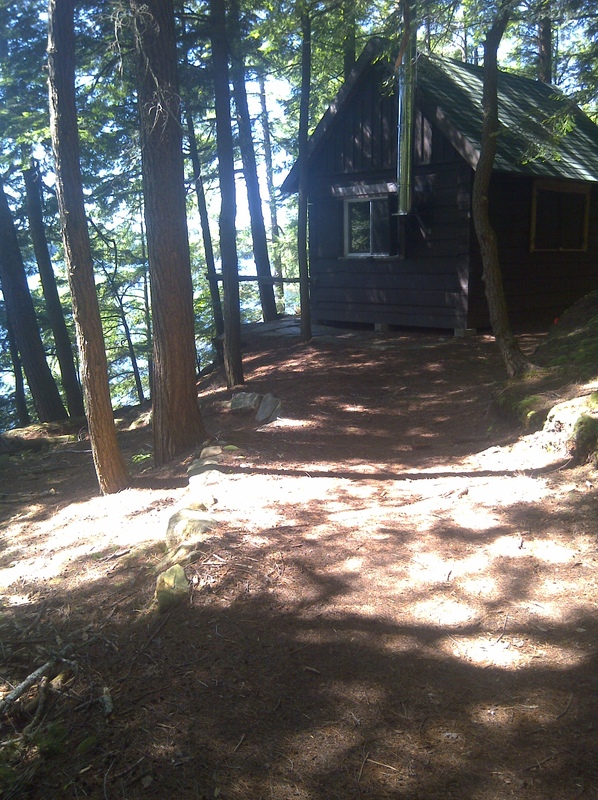 One of the beautiful cabin rentals along the course at the Limberlost Forest and Wildlife Preserve. 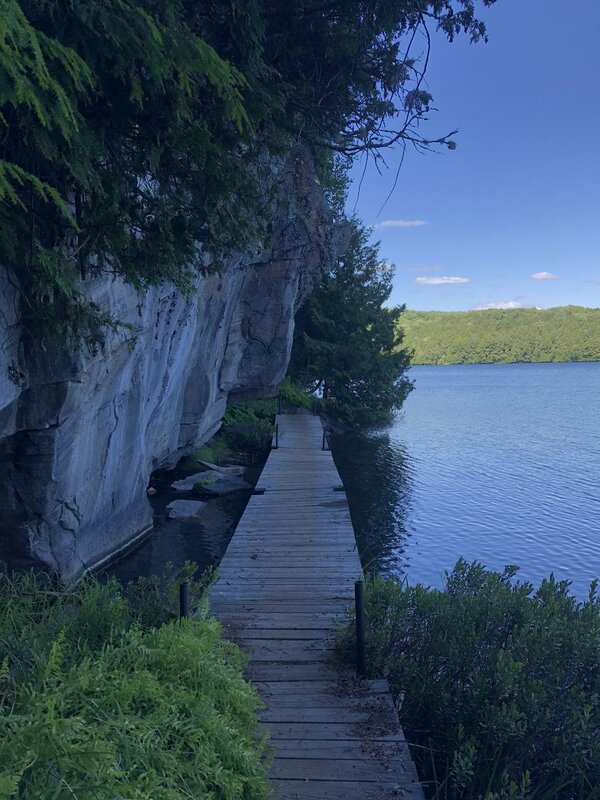 On their website it mentions the reserve is a publicly accessible private year-round wilderness haven with twenty private lakes and more than 10,000 unspoiled acres of mixed forest. 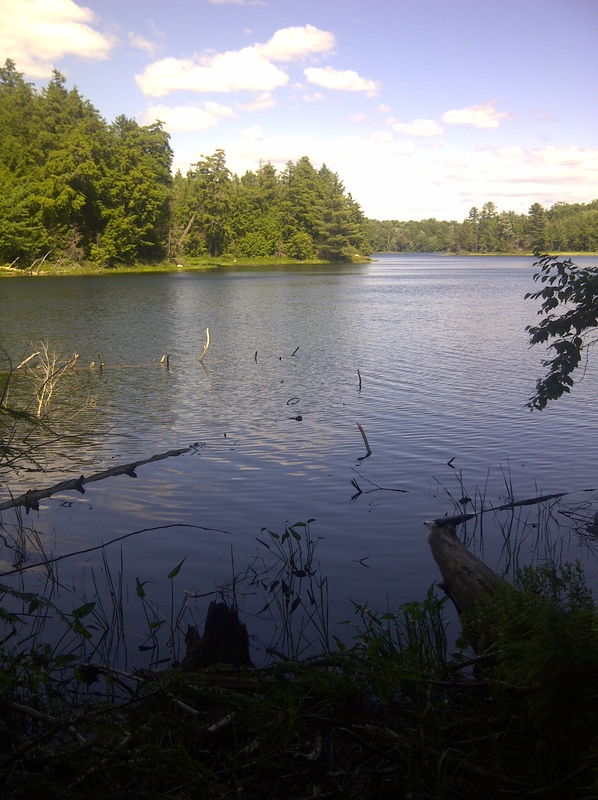 Limberlost’s primary objective is to offer continued free access to the 10,000 acre Muskoka property for the purpose of encouraging safe wilderness experiences. Free use of the property is made possible by the rental of chalets, cottages, fish-camps, glamping sites and camp sites. What a terrific race report, and what a fulfilling and joyful way to celebrate your birthday. The gift of nature and meeting other runners whose stories humble us — that’s what ultras bring to us. Happy Birthday! Sounded like a great run, and that extra piece of silverware for finishing second in your category sounded like cherry on top. A birthday to remember 🙂 Keep running and let’s see how many more milestones you can achieve. I will turn 60 next year in February. However since my birthday falls in the dead of winter I plan to be fast asleep in my nice warm bed. I’m retiring next month in August so no more rat race for me. Once I left the U.S Army November 1981 my running days were over. I did make a few attempts. Of course now that I’m older with arthritis I can barely go up and down subway stairs much less run! LOL! Deborah, I am so happy to hear about your upcoming retirement. I am excited for you. Your comment about your plans on your 60th brought a big smile to my face. My day was a 4:00am wakeup for the early start to get to the race, and my bed certainly was a welcome sight that night…haha. Hoping the arthritis won’t be getting much worse. That can’t be easy. What a great birthday. So happy for you. Just finishing is incredible, but second in your class! Wonderful celebration with your wife, other family members and friends. Maybe Niagra Falls in early fall?? Happy Birthday Carl. Oh my goodness Carl you are beyond inspiring. A very happy 60th birthday. The fact that you added on the extra kms at the end made me almost weep. I can hardly wait to see what you do for your 70th birthday! Awww thank you so much Sue for such generous words. It was a day that went beyond all that I ever hoped for. When I look at a guy like Ronald Gehl at 71, and I think if I can be a quarter the man he is at that age, I’ll be very happy. Thank you for taking the time to read and share! What a way to celebrate your 60th! Congratulations. Your enthusiasm and joy of running and life are so apparent through your writing. Your running accomplishments are outstanding! Well done. Happy Birthday and Congratulations. What a great birthday present. 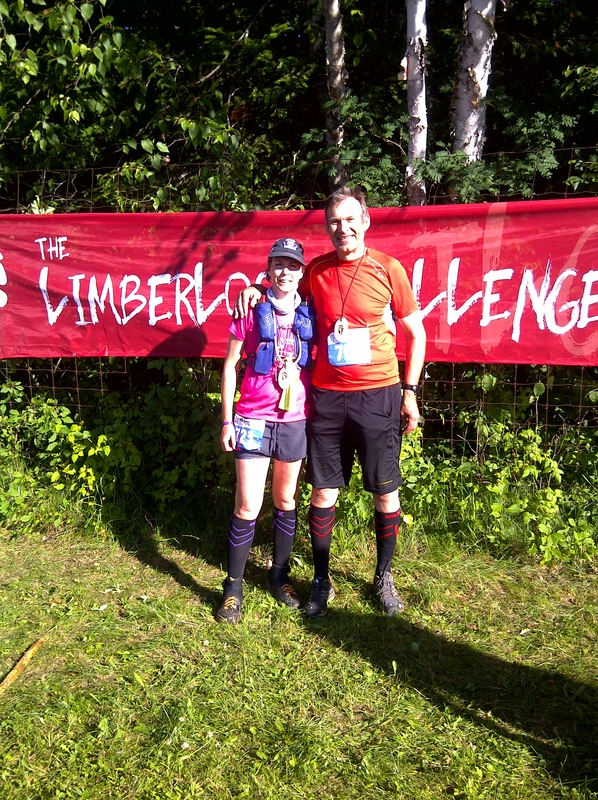 Terrific race report – Love the ultra community. I’ll have to check this race out. Happy Belated Birthday celebrated in the most awesome way! Human bodies are amazing the way they adapt. From not being able to run 1km a few years ago to 60km! My hat goes off to you! The reserve looks amazing. It’ll be a great hike to really soak up the scenery! First, a VERY belated happy 60th birthday! Second, what an amazing way to spend the day. Here’s to hearing about you running a 70km on your 70th birthday! Oh my… My hat. Congratulations! This is incredibly.